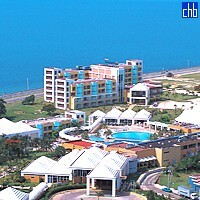 The Hotel Allegro Palma Real stands in the centre of Varadero. 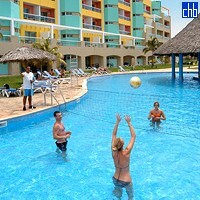 Its location allows you easy access to the beach and to the neighboring parts of the city. Its architecture maintains the harmony of the landscape inspired by typical Cuban style. Palma Real is a 470 room resort with all manner of facilities available to enjoy including shows, sports and clubs. 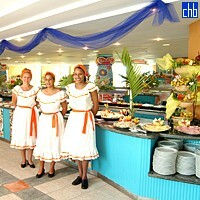 The buffet restaurant “Flamboyan” offers you a delicious proposal at meal times, and during the day, you can freshen up in one of the hotel's many bars. “Tocororo” by the pool, “La Lonja” at the Beach Club, and “Mojito” in the lobby offer a welcome chance to relax with a cocktail at the end of a long day. Evenings at Palma Real are magic. The a la carte restaurant “Villa Sirena”, located in a colonial house by the ocean, will become, without any doubt, the beginning of a wonderful evening, with warm and friendly staff on hand at all times. 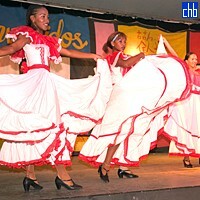 The final stage of the day will be the “Havana Club” disco, where you will find the meeting point for every night in Varadero. 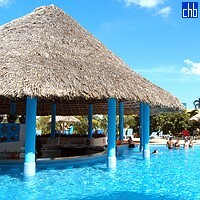 The hotel is also family friendly with a dedicated swimming pool exclusively for children. Rooms at Allegro Palma Real are both luxurious and modern, with many offering sea views. Decorated in soft pastel shades with wooden furniture throughout, rooms exude a cosy atmosphere, making it a great place to relax after a day at the beach. The Allegro Palma Real Hotel was managed by Blue Bay Hotels with the name of BelleVue Palma Real until June 2016. 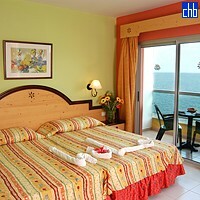 Previously it was known as Hotel Hotetur Palma Real, and before was the Hotel Copey Resort. Junior Suite rooms contain king sized beds, a minibar and a terrace offering plenty of natural light. The en-sutie bathroom also has toileteries. Located on the third and fourth floors, these rooms have a balcony and sea views. Bathrooms contain a bathtub. These roms come with a balcony and ensuite bath room equipped with toileteries.